Wilfred Bion once said, "I use the Kabbalah as a framework for psychoanalysis." Both are preoccupied with catastrophe and faith, infinity and intensity of experience, shatter and growth of being that supports dimensions which sensitivity opens. Both are preoccupied with ontological implications of the Unknown and the importance of emotional life. This work is a psychospiritual adventure touching the places Kabbalah and psychoanalysis give something to each other. Michael Eigen uses aspects of Bion, Winnicott, Akivah, Luria and Nachman (and many more) as colours on a palette to open realities for growth of experience. Bion called faith "the psychoanalytic attitude" and Eigen here explores creative, paradoxical, multidimensional aspects of faith. 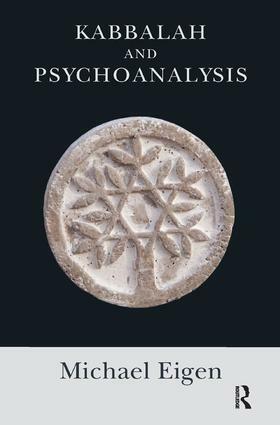 Eigen previously wrote of psychoanalysis as a form of prayer in The Psychoanalytic Mystic. In Kabbalah and Psychoanalysis he writes of creative faith. Sessions as crucibles in which diverse currents of personality mix in new ways, alchemy or soul chemistry perhaps, or simply homage to our embryonic nature which responds to the breath of feeling moment to moment.